Red Dead Redemption 2 Towns and Frontiers Detailed | Nerd Much? Rockstar Games updated their site today with details on a bunch of Red Dead Redemption 2 towns and frontiers that we’ll be traveling to. There are 7 included now, but you know there will be a ton more when the game launches in October. Mount Hagen is a well known peak that sits atop the snowy Grizzlies of Ambarino. It’s the main pass through the western mountain range that connects to the Dakota River to the south. Quite opposite Mount Hagen is the warm southern town of Rhodes in Scarlet Meadows, Lemoyne. Rhodes is home to two at odds plantation families whom often take their differences to violent and deadly ends. Strawberry is situated in Big Valley. Once just a small logging town, it’s new mayor is determined to turn the locale into a must see destination for wealthy tourists. The final Red Dead Redemption 2 town on display is Lagras of Baoyou Nwa, Lemoyne. It appears to be a swamp town with residents that are self sufficient and cut off, earning a living by fishing or acting as local tour guides of sorts. We’ll likely get the breakdown of more Red Dead Redemption 2 towns in the future. 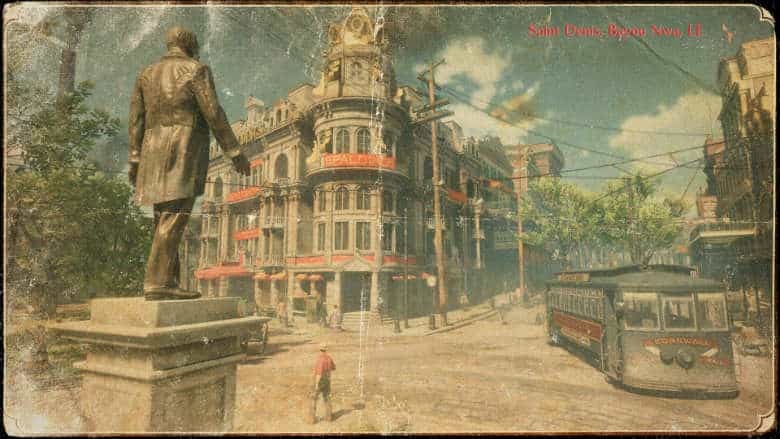 With the game’s October 26th release little more than a month away, we should be hearing a lot more about Rockstar’s upcoming epic soon.